Q. I’ve heard of Tomatina. What other exciting festivals does Spain have? A week-long festival celebrated annually during the first half of July in the city of Pamplona. 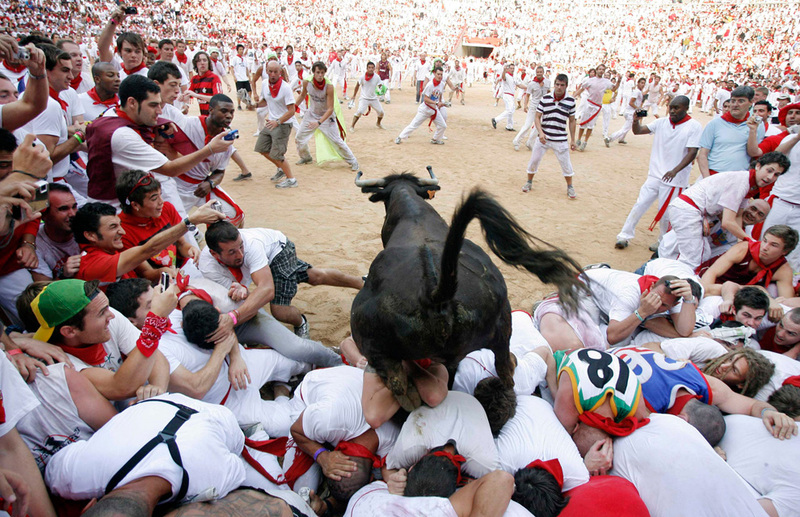 The highlight: the iconic bull run which despite much protests from animal rights groups, has continued to gather enthusiastic crowds from all over the world. Although the entire run from the bottom of Santo Domingo street, all the way up to the bull ring lasts no more than three minutes, it is a highly energetic and exciting event where scores of dare-devil runners test their speeds against raging bulls. The true spirit of Spanish fiesta is best showcased at this carnival. Every February, a parade complete with beautifully crafted floats, music concerts and dances is held in Santa Cruz de Tenerife, the capital of the Canary Island. The central attraction of the Carnival which makes the audience remember its Brazilian counterpart, is the group of performers, mostly girls, dressed in vibrant and flamboyant costumes. 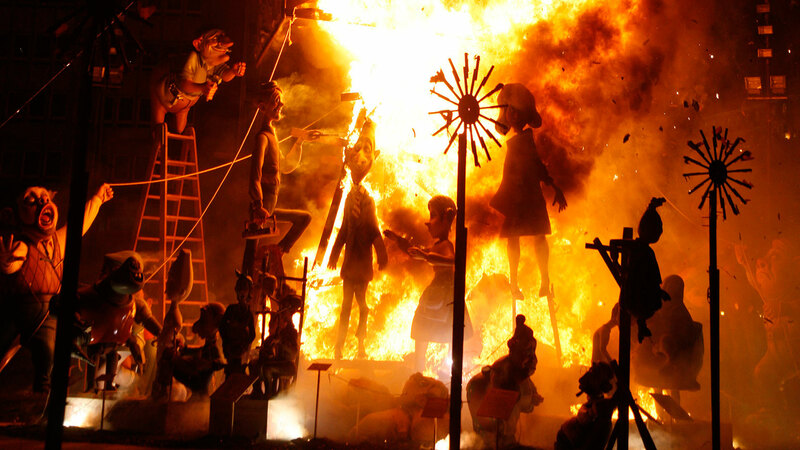 A treat for the fire-loving revelers and craftsmen, Las Fallas is another unique Spanish fiesta which showcases the local craftsmanship in the form of gigantic satirical puppets that are stuffed with fireworks and set ablaze at midnight. The day-time celebrations feature bull fights, beauty pageants and parades. The highlight: lighting up a string of special firecrackers known as mascletá which are extremely loud with a rhythmic thunderous sound. 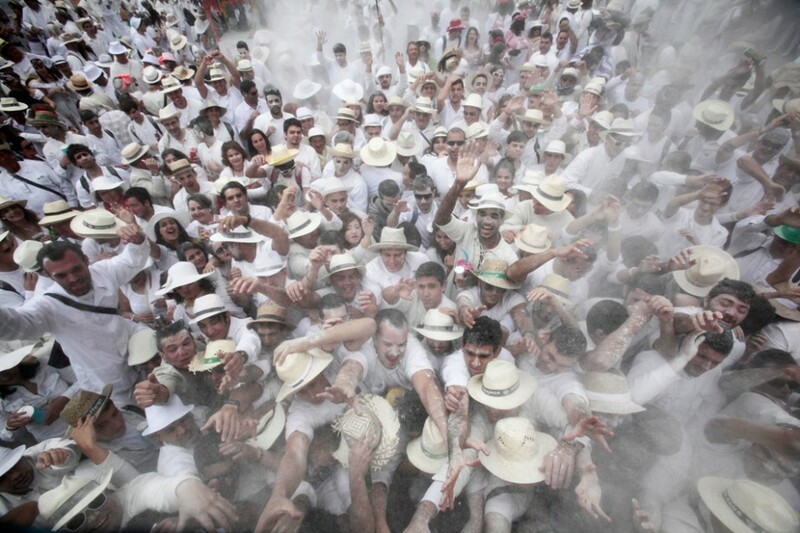 Probably the dry version of La Tomatina – Los Indianos is another popular Spanish carnival where instead of a ripe, squashed tomato, people fling huge quantities of talcum powder on each other. The carnival moves through the old streets of Santa Cruz de La Palma, accompanied with numerous street performers including strolling minstrels and one-man bands. 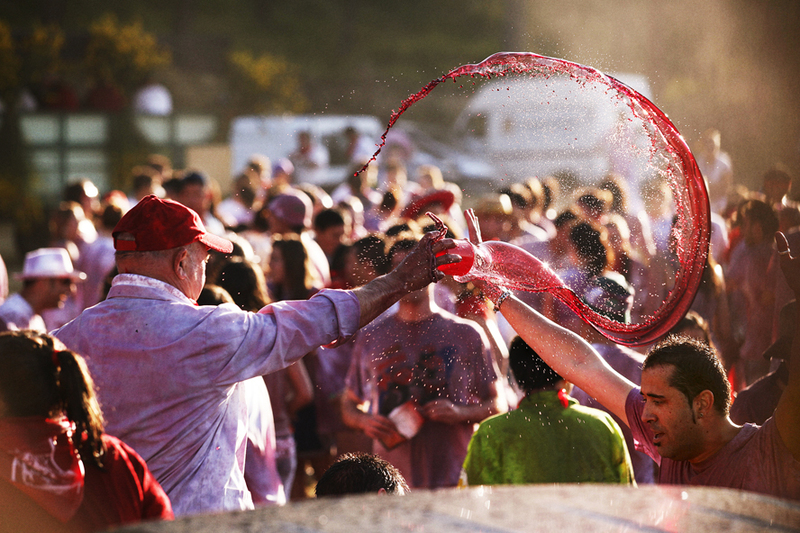 Another variation of La Tomatina is La Batalla de Vino de Haro or simply, the Wine Fight. This unique festival is celebrated every year in the small town of Haro where people drench each other with wine pouring out of buckets and water pistols alike. The festival also includes traditional dances and music concerts. So, what’s your favourite – bulls, carnivals, fireworks, wine or talcum powder?